Potential for enhancing trade ties between India and CLMV countries (Cambodia, Laos, Myanmar and Vietnam) was highlighted at a conference which opened in Phnom Penh, Cambodia on May 21. Themed “India-CLMV Economic Development: Collaboration for Regional Integration”, the two-day event saw representatives from trade ministries, sectors, localities and big enterprises of India and those from the four countries. 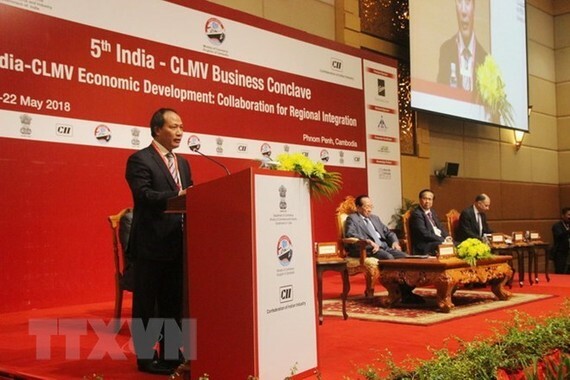 In his opening remarks, Vietnamese Deputy Minister of Industry and Trade Cao Quoc Hung highly valued cooperation between the CLMV countries and India, saying that India always considers ASEAN in general and the CLMV countries in particular as a focus in its Act East Policy. He affirmed that the maintenance of such events will be an opportunity to further promote regional integration between India and CLMV countries. 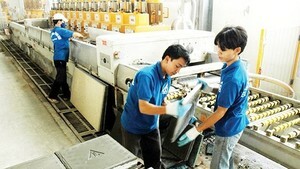 Hung also pointed out potential for pushing the cooperation mechanism. H said India has the strength in capital, technology, new and renewable energy, education, pharmaceuticals, and high-tech products, while CLMV countries have advantages in production of textiles and garment, footwear, agricultural products, wood, minerals, vegetables, machinery components, which can meet India’s import demand. However, Hung also mentioned difficulties and challenges facing the regional integration between India and the CLMV countries such as differences in infrastructure quality, lack of connection, unimproved border trade infrastructure. Hung suggested the countries enhance traffic infrastructure connection, especially those in India’s northeast region and Myanmar - the two important points to connect India with CLMV countries. The countries should also strengthen institutional linkage by harmonising trade investment and finance policies, he added. He believed that the regional integration between India and the CLMV countries will be fostered on par with the potential available once the above-mentioned measures are implemented effectively. The fifth India-CLMV trade conference focuses on topics related to manufacturing industry, agro-forestry-aquaculture, health care, education, IT and vocational training. Bilateral discussion sessions between India and each CLMV country are also arranged in the framework of the event. Relations between India and the CLMV countries have been growing since India established the diplomatic ties with each of them, and the partnership with ASEAN in 1992. The CLMV countries are also the gateways for India to enter the ASEAN market and other FTA markets that the CLMV countries are members. Meanwhile, India is the gateway for the CLMV countries to penetrate other South Asian countries by taking advantage of the South Asian Association for Regional Cooperation (SAARC). The advantage from the Greater Mekong Subregion (GMS) cooperation mechanism’s East-West Economic Corridor (GMS) is also a favourable condition for stronger trade cooperation between India and the CLMV countries in the future. Trade between India and the CLMV countries hit 14.5 billion USD in 2017. India is the largest trade partner of the CLMV countries in South Asia.